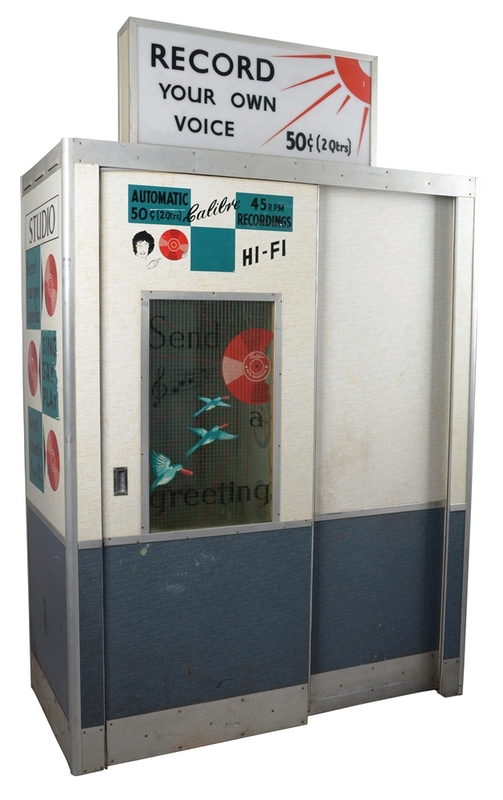 Lot Detail - 50¢ Calibre Auto Recording Booth. 50¢ Calibre Auto Recording Booth. A fantastic piece of amusement and recording history! 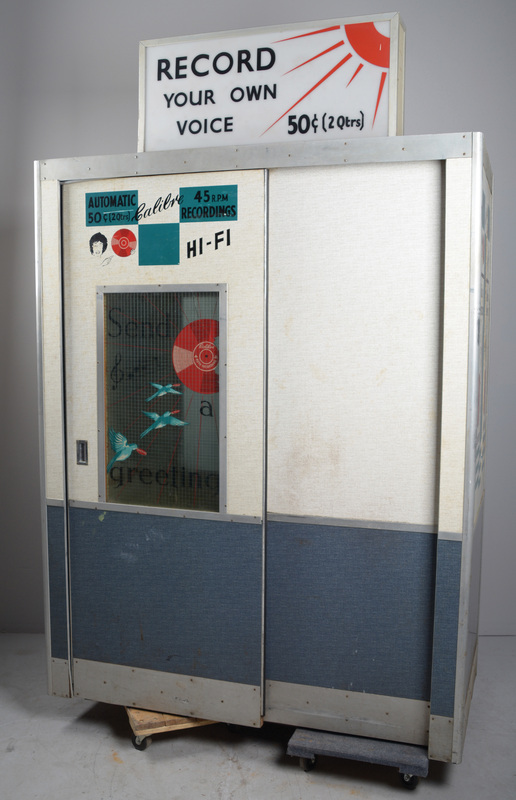 This machine is essentially a coin-operated recording studio, offering a unique 45 RPM record with the patron's voice and/or music for just two quarters. 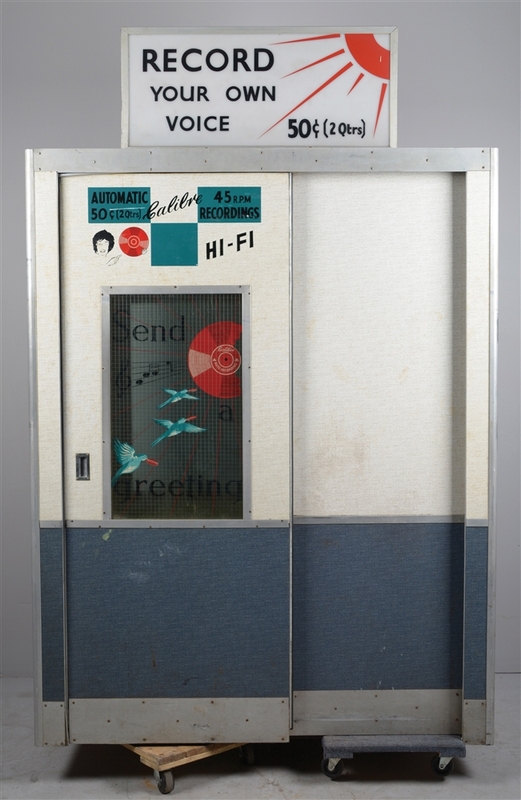 Like a photo booth, people of all ages used the recording booth individually or with as many of their friends and family as they could fit inside. In approximately four minutes, a record was cut and dispensed from a slit inside. 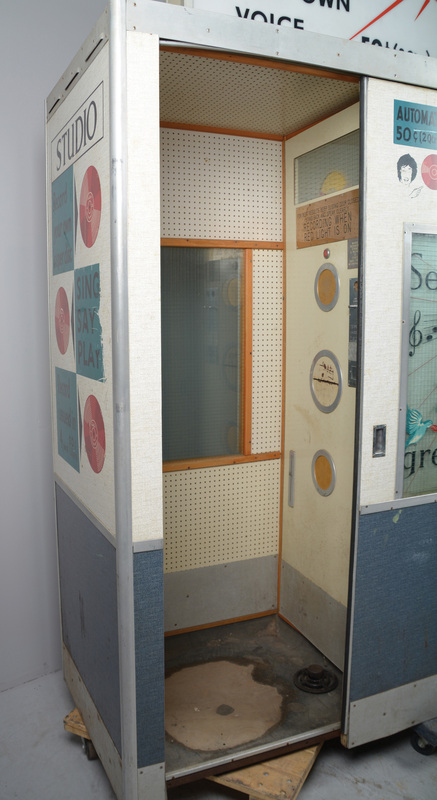 This example retains all of the original decals and lighted, double-sided top sign. The front viewing window shows bluebirds carrying red records into the sun which, in this instance, is a large Calibre Auto Recording record. Showing some wear appropriate for age and use. 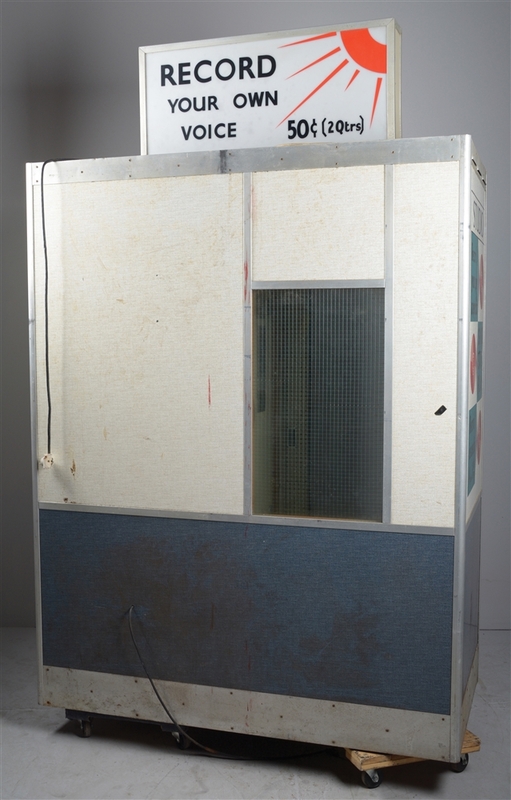 Produced in the 1960s with some in use in the concourses of railway stations, arcades, boardwalks, and the like until the 1970s. Item Dimensions: 60"L x 29"W x 77"T.